"From the brief chat I had with Tom, it certainly wasn't how it was portrayed. That was what Tom told me this morning. 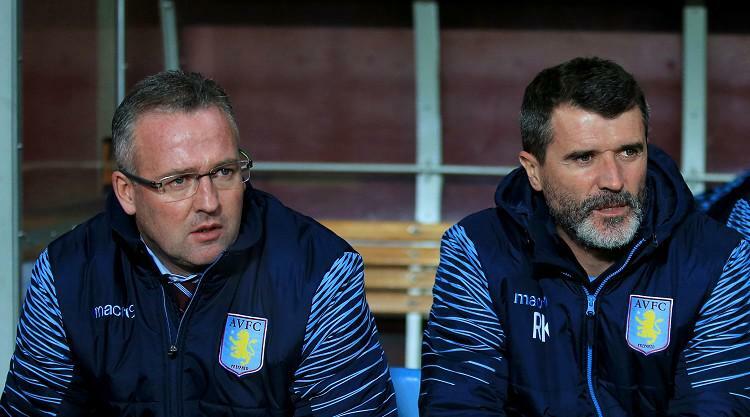 Various tabloid stories about Keane's spell at Villa Park have emerged in recent weeks. The Manchester United legend allegedly had a fractured relationship with several senior players, most notably vice captain Gabriel Agbonlahor, due to his domineering personality. Asked whether Keane had told Lambert he was unhappy about such stories coming out of the club, the manager said: "No. I spoke to Roy. We're good pals, not just in this regard but we're good pals in general and that will always be the same. "Roy's obviously got his Ireland role to contend with and work on, trying to qualify for Euro 2016. There's no problem on that side. He's my pal. "I spoke to Tom and the matter is finished." Villa take on Manchester United in the Barclays Premier League on Saturday.